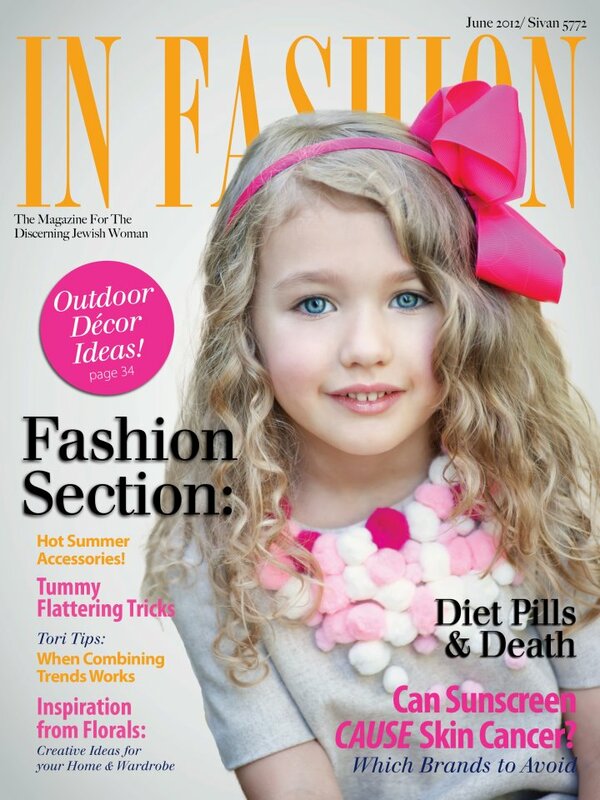 Our High Style Events division had our High Styled Tips article published in the premier Jewish magazine for the affluent Jewish household, In Fashion Magazine (www.infashionft.com). We’ve included the entire tips in our blog but if you can pick up the magazine, that’s even better! We look forward to placing our stamp of High Style on your event! Events). For social events, a tiny picture frame with the attendee’s pictures is a glorious, welcoming, and personal touch. rely on the tailors at department stores like Lord & Taylor or Saks with promises of free tailoring with a suit purchase – take your suit to a trusted tailor that you know can make it perfect. Same with tuxedos – get your tailor to look at it and see it on you before you buy or rent. Add even more High Style – if you’re getting a custom-made dress designed, ask your tailor to use the extra fabric swatches and design a matching tie or pocket square, even for a cummerbund, for your special man. Nothings says stylish more than two well-dressed (and matching!) people. Ditch the Keyboard. Go for a DJ. by a thousand percent and dictate the party mode of the event much better. a DJ!” And at your event, we know you want to have that “WOW Factor”. 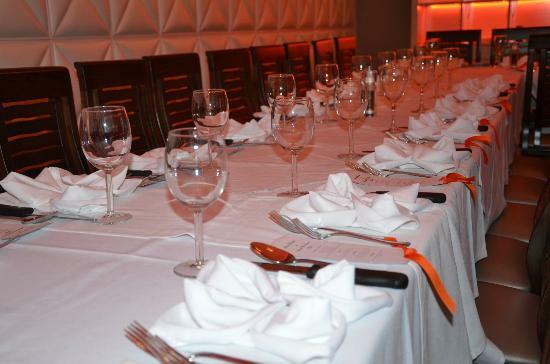 to add is your extra bit of style to accentuate the venue’s elegance. specialized means customized (and you won’t necessarily pay more at all). more than what they normally do. For example: Florists & Caterers. you deserve customized service at your special event? We know you do. With these tips, now you can start putting a stamp of High Style on your special event! Us on Facebook (www.facebook.com/highstyleevents) and be automatically entered for a chance to win a $150 Gift Card to Glatt A La Carte. Our treat! Call us at 347.433.4276 or 201.357.2622 or Visit us at www.HighStyleEvents.com for more information and “High Style” Tips! Well, this is definitely a unique way to stand out at your Bar Mitzvah. I only had a Polaroid camera at my Bar Mitzvah. Keeping Your Maiden Name Earns You More? Jewish Event Planning Tip – What’s In Your Jewish Half Mile Radius? What’s around you that is Jewish? Is there a Synagogue down the block? How about a Jewish Center where they can bring their kids? What about Kosher food or Kosher restaurants in a half mile radius? If you want to host a Jewish celebration or weekend event, know your “Jewish vicinity” and where your customers can visit or frequent when they’re out and about. Knowing what’s around your venue that’s Jewish can help you tailor a special rate or program to the Jewish market. NYC is a destination for millions of visitors every year and offering special rates for out of town guests at a nearby Synagogue is a great way for to get new customers in the door. For instance, pairing with your local Synagogue and offering a special rate for out of town guests who attend weekend events or for Sabbath is a great option – the guests will see that your venue is accommodating to their needs. And eventually, they may decide to build on their hotel stays and start hosting events at your place! Kosher, Kosher style, glatt Kosher, not-so-Kosher. These are just some of the terms you’ll hear when you’re dealing with a Jewish event. It’s important you learn about the subtle and not so subtle differences in Jewish diet restrictions so you can be prepared for any Kosher request. Generally, some families prefer kosher and some will opt for kosher style. That sounds basically the same but they are actually worlds apart. Strictly Glatt Kosher means that the food, ingredients, utensils, and ovens used in making the food ALL adhere to the Kosher standards and are overseen by a mashgiach, a designated Kosher overseer. Technically, the term Glatt refers to a certain quality of animal (defect free), although these days Glatt Kosher tends to imply simply a higher form of Kosher. Glatt Kosher refers to meat; Cholov Yisroel refers to a higher form of dairy (see our Shavuot post for more on Cholov Yisroel). All the ingredients in AND process of cooking chicken marsala must be kosher, the chicken must be bought from a recognized kosher establishment, and the oven has to be cleansed for cooking kosher products. It’s intensive, yes! Kosher style is simply saying that you’ll cook a meal that resembles a Kosher meal (such as brisket, chicken soup, matza ball soup, or tzimmes) but doesn’t conform to all the guidelines listed above. 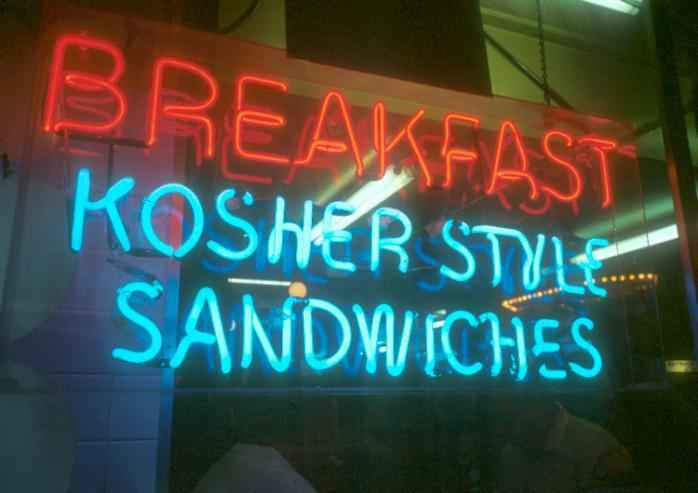 A major major difference, so large in fact that when a consumer hears that a location is Kosher Style, they may never give your establishment a second chance should you decide to become fully kosher. If your venue can accommodate kosher and not just kosher style, you’ll be able to cast a wider net and attract ALL of the groups of Jewish event planners, Orthodox especially. Ever since the Monsey meat scandal and the erroneous Long Island caterer drama, standards of Kosher meat has become an even higher priority for event planners. Our suggestion is to always ensure Glatt Kosher standards. Respecting the dietary laws of Orthodox and Traditional family members and guests at their events, and having kosher style simply may not be enough, according to the stricter Orthodox kosher guidelines. Offer diverse ethnic menus for ethnic Jewish communities. The Jewish community is one of the most diverse populations in the world, and it’s reflected in their food. American, Persian, Syrian, Spanish, Morrocan, Bukharian, Chassidic, Israeli, etc – the New York Jewish market contains all those types of Jews. If your caterer and venue can host and accommodate all Jewish ethnic groups, such as Persians, you’ll get more than just a Persian bride and groom – you’ll get the entire Persian community for ALL their events! Think the Jewish bride and groom zoom off into the sunset right after their chuppah? Guess again. All Jewish weddings are followed by Sheva Brochot, the SEVEN days of celebrations after a Jewish wedding. Yes, there are seven more parties after the big wedding day. These seven days of celebration (literally, Sheva Brachot mean Seven Blessings) may not be as huge as the wedding day but they’re usually intimate small-scale celebrations of roughly 25-50 people. How does this benefit your venue or event service? If your venue has smaller event space available in the days following the wedding, be sure to mention your smaller “Sheva Brochat rooms” to your bride and groom and you may get some more post-wedding business. We all know that brides and grooms have little recollection of their big day, it goes so fast, so suggesting a Sheva Bracha at the same venue they got married in can help them relive their day. The better you know the Jewish calendar, the more educated your sales efforts can be. For instance, Jewish law discourages celebrations from occurring during certain weeks in the Spring and Summer (known as the Sefira Weeks and the Three Weeks). Also, during the High Holidays and Passover, the Jewish market holds off on celebrations because, well, who can plan a party while already cooking for these huge family holidays? On the flip side, there are dates when celebrations are highly encouraged (such as Tu B’Av in July and Lag B’Omer in May) and Jewish event planners love to target those days for their celebrations! Know the Jewish calendar. In most Bar/Bat Mitzvahs, the actual ritual and ceremony takes place on the Sabbath weekend before the actual party. What that means is guests and relatives from all over will be staying for the entire weekend to share in all the celebrations. If you are a hotel, you can book those guests for weekend stays. If you are a venue, the parents could benefit from your venue hosting the large Sabbath meals for all the guests. There are sales opportunities for your location even in the Jewish rituals. Unlike most weddings, Orthodox Jewish weddings are planned very quickly (to the chagrin of the stressed out parents) due to the nature of the engagement. The benefit for your venue is that if you have available venue dates on your calendar that you are just dying to book up, the Jewish market is a perfect market to target for “last-minute” venue reservations. I got engaged in March and had a wedding for 250 people at Crest Hollow Country Club in June. The quick turnaround time for Orthodox weddings could be a great source of last-minute revenue for your location!